Coatimundis, unlike their raccoon cousins, are diurnal, which means they are out mostly during the day. Coatimundis are members of the order Carnivora, but are omnivorous; they eat fruit, insects, and meat. Coatimundis are native to Central and South America, spending a lot of their time in trees. Though they are carnivores, coatimundis eat a variety of fruit along with insects and occasionally small mammals. Female coatimundis are typically social and will live in groups with up to 30 members. 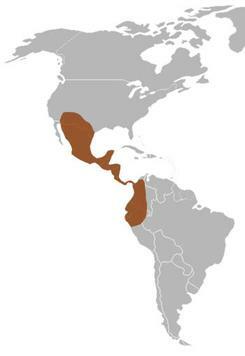 There are four subspecies of coatimundis, including the white-nosed coatimundi. Lily and Macano, Carolina Tiger Rescue’s resident coatimundis, belong to that subspecies. Coatimundis, though not endangered, are rapidly losing their habitat due to urbanization and deforestation for farms. The coatimundi has an extremely flexible nose that can move 60 degrees in all directions. Coatimundis are very vocal, and communicate with one other via squeaks and chirps. Coatimundis are popular in the pet trade due to their docile nature. When housed as pets, coatimundis can be declawed because private owners may perceive it as making them safer. Declawing can lead to debilitating arthritis as the practice requires removing part of each toe. 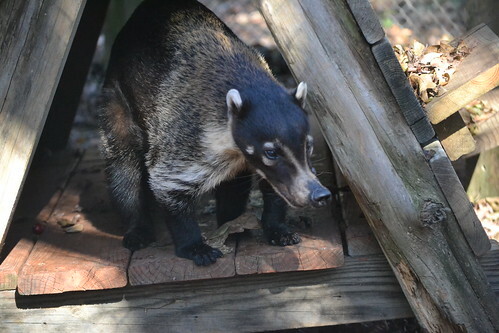 Coatimundis are native to Costa Rica, where wild animals live as pets in 60 to 70 percent of homes. 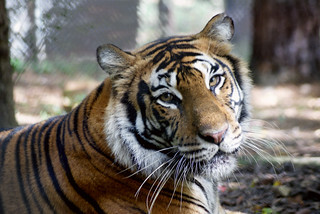 It is illegal in Costa Rica to own native wildlife, but due to a lack of rescue resources, only a select few are able to be re-homed at sanctuaries. Coatimundis can run up to 15 miles per hour. Coatimundis are excellent tree climbers and swimmers. Though not currently endangered, the population of wild coatimundis is decreasing due to habitat loss and the pet and fur trades. You can help protect coatimundis by only purchasing items that are sustainably-farmed in Central and South America. Coatimundis are wild and dangerous predators and should never be pets. Please help educate others on what you have learned to help protect them!